Table 1. Demographic characteristics by posttraumatic stress disorder and cognitive-behavioral therapy for post-disaster stress levels. Table 2. Multiple comparisons between means of each group, before and after treatment. This is the first time that the effectiveness of cognitive-behavioural therapy for post-disaster stress (CBT-PD) in symptoms of posttraumatic stress disorder (PTSD) has been tested outside the United States of America. Quasi-experiment with three groups. In the quasi-control group, complete CBT-PD was applied even though its members did not have PTSD; in quasi-experimental conditions, participants received complete treatment because they had this diagnosis; and in the third group, participants with PTSD received an abbreviated treatment (double sessions) due to organisational requirements. Primary health care workers in Constitución (Chile), city exposed to earthquake and tsunami; public department workers in Talca (city exposed only to earthquake) and teachers from a school (Constitución). A total of 13 of the 91 people diagnosed with PTSD participated. In addition, 16 people without diagnosis voluntarily participated. The treatment was completed by 29 participants. There were no dropouts. Only 1 of the 9 participants in the quasi-experimental group did not respond to treatment. CBT-PD is a group therapy (10-12 sessions) that includes psychoeducation, breathing retraining, behavioural activation and cognitive restructuring. CBT-PD (complete and abbreviated) was applied between September and December 2010. Short Posttraumatic Stress Disorder Rating Interview (SPRINT-E) was used to measure PTSD symptoms before and after treatment. The group that received the complete treatment and was diagnosed with PTSD showed a significant decrease in the total symptoms to below dangerous levels (IGAAB: 31.556; p<0.01; 95%CI: 0.21-2.01]; η2=0.709). The effectiveness and benefits of incorporating CBT-PD in the health network after events like disasters were discussed. Evaluar la eficacia de la terapia cognitivo-conductual para el estrés posdesastre (TCC-PD) en síntomas de estrés postraumático (TEPT) por primera vez fuera de los Estados Unidos. Cuasiexperimental con tres grupos. Al grupo de cuasicontrol se le aplicó la TCC-PD completa pese a que sus miembros no tenían diagnóstico de TEPT; el grupo cuasiexperimental recibió el tratamiento completo porque sus miembros tenían ese diagnóstico. En el tercer grupo, las personas con TEPT recibieron un tratamiento abreviado (sesiones dobles) por exigencias organizativas. Trabajadores de atención primaria de salud de Constitución (Chile), ciudad expuesta al terremoto y tsunami; trabajadores de un servicio público de Talca (ciudad expuesta solo al terremoto) y profesores de escuela (Constitución). Participaron 13 de las 91 personas diagnosticadas de TEPT; además, 16 personas sin diagnóstico participaron voluntariamente. Finalizaron el tratamiento 29 personas. No se produjeron abandonos. Solo uno de los nueve participantes del grupo cuasiexperimental no respondió al tratamiento. La TCC-PD es una terapia grupal (10-12 sesiones) que incluye psicoeducación, reentrenamiento respiratorio, activación conductual y reestructuración cognitiva. Se aplicó TCC-PD (completa y abreviada) entre septiembre y diciembre de 2010. Para medir síntomas de TEPT se utilizó la Short Posttraumatic Stress Disorder Rating Interview (SPRINT-E), antes y después del tratamiento. Solo el grupo que recibió el tratamiento completo y fue diagnosticado de TEPT disminuyó significativamente sus síntomas por debajo de los niveles peligrosos (IGAAB: 31,556; p<0,01; IC95%: 0,21-2,01]; η2=0,709). Se comprueban la efectividad y los beneficios de incorporar la TCC-PD en la red de salud después de desastres. CBT-PD is a short-term group therapy (10-12 sessions), whose objective is to identify and to intervene in the maladaptive beliefs related to the disaster. The intervention includes four components: psychoeducation, breathing retraining, behavioral activation and cognitive restructuring. Clients receive a workbook and they complete assignments to reinforce the skills that they have learned in session.27 CBT-PD was used in a population with PTSD symptoms after the Katrina hurricane in New Orleans. The evidence shows that the number of severe PTSD symptoms decreased significantly immediately and during the first 5 months after the use of CBT-PD.27,28 However, the effectiveness of CBT-PD has never before been tested outside the United States. Furthermore, the quasi-experimental design used by the authors to test the effectiveness of treatment is not as suitable as in cases where control groups were used. Therefore, given the characteristics of F-27, the opportunity to implement this approach arose to prove the effectiveness of CBT-PD in a Latin American sample. The design of this study was quasi-experimental with three groups, one of which was a quasi-control group. The sampling of this study was not probabilistic for two reasons. The first, there was the need to treat the largest number of people after the F-27; leave out someone for random selection criteria was discarded. The second, participation was always voluntary and depended on the willingness of people and organizations to receive this treatment. The people who participated in the CBT-PD were adults of both sexes from three different jobs. The people of the first group were medical healthcare workers living in the city of Constitucion (this group was exposed to the earthquake and tsunami). The people in the second group were public department workers from the city of Talca (this group experienced only the earthquake). The third group consisted of teachers from a school in Constitucion. Initially, a diagnosis of PSTD was conducted using the SPRINT-E scale.28,29 The measurement was applied to all persons who wished to participate in the study. Seventy-one participants from the medical health center answered the questionnaire (21 men and 50 women), 75 employees from the public department (18 men and 57 women) and 10 from the primary school (3 men and 7 women). Based on the diagnoses, 91 participants (34 from the health center, 51 from the public department and 6 from the primary school) met the primary criterion for entering treatment and they were invited to participate in the study. This criterion was to have at least three severe symptoms of PTSD (the other criterion was to be over 18 years old, which was met by all participants). However, being a voluntary activity, only 13 (14%) participated in the therapeutic process. On the other hand, given the needs presented by the three organizations of this study, not all participants received the same treatment. Thus, 25 participants (7 from the health center and 18 from the public department) were treated with the Hamblen procedure, which consists of 10-12 sessions (one per week) between 60 and 90minutes; in this procedure, the activities proposed in the Manual Tasks were performed successfully in all sessions. Moreover, in the case of participants from the primary school, the procedure was concentrated in four sessions of 2hours and 30minutes, designed to end after a month; in this procedure, the activities described in the Manual Tasks were not carried out because of the participants’ workload. Since not all participants had severe symptoms and the same treatment was not applied, the 29 participants who completed treatment were put in three groups: the first called “no ptsd & complete cbtpd” with 16 participants, who had no more than three severe symptoms and received the original treatment; the second group, was called “with ptsd & complete cbtpd” and consisted of nine participants with more than three severe symptoms and received the original treatment; finally, the third group called “with ptsd & abbreviated cbtpd” consisted of four participants with more than four severe symptoms and who received the original treatment and the abbreviated procedure. Some demographic characteristics of samples are described in Table 1. Demographic characteristics by posttraumatic stress disorder and cognitive-behavioral therapy for post-disaster stress levels. CBTPD: cognitive-behavioral therapy for post-disaster stress; PTSD: posttraumatic stress disorder. Both treatments (full and abbreviated) were applied between September and December 2010. After sessions of therapy, seven workers from the health center, 18 from the public department (two men and 13 women) and four teachers from the primary school (one man and three women) completed the therapeutic procedure. A post-evaluation of PTSD symptoms with the SPRINT-E scale was performed at the end of the last session. The therapists were six women with a degree in psychology. All of them were doing their thesis within the framework of this research. They were trained in the procedure previously. They were monitored weekly during the application of the CBT-PD. In their training and monitoring, therapists had the opportunity to share experiences, difficulties and learnings that emerged from the application of CBT-PD; this helped to standardize the treatment. Each treatment group received two therapists. All people participated voluntarily, received an informed consent (signed by each one) and gave permission to use their data. This study was approved by the Ethic Academic Council of the Faculty of Psychology, University of Talca. Initially, the means of severe symptoms of PTSD before applying the CBT-PD were 0.6 for the group “no ptsd & complete cbtpd” (SD=1.8), 7.1 for “with ptsd & complete cbtpd” (SD=2.2) and 5.8 for “with ptsd & abbreviated cbtpd” (SD=2.2). In turn, the means of severe symptoms of PTSD after applying the treatment were 1.1 (SD=1.4), 1.1 (SD=1.2) and 4.5 (SD=3.4) for groups “no ptsd & complete cbtpd”, “with ptsd & complete cbtpd” and “with ptsd & abbreviated cbtpd”, respectively. Regarding the ANOVA-RM-AB, the results indicate that the mean of intense symptoms of PTSD after CBT-PD was significantly lower than the mean of intense symptoms before therapy in both groups. Both, classic F and IGA statistics, agree on the existence of differences for the within-subjects factor “moment” (FB=27.757, p<0.01; IGAB=23.1457, p<0.01) and for the interaction between “group” and “moment” factors (FAB=31.556, p<0.01; IGAAB=31.556, p<0.01). Additionally, the statistical effect size and power for both are also high, with an effect for within-subjects factor (η2=0.516, 1–β=0.999) and an interaction effect (η2=0.709, 1–β=0.999). Specifically, the differences before and after were presented only in the “with ptsd & complete cbtpd” group (mean difference I–J=6, SD=0.656, 95%CI: 0.21-2.01, p<0.01). That is, only one of the nine participants in the quasi-experimental group did not respond to treatment. The differences noted above and plotted in Figure 1 are complemented by the multiple comparisons in Table 2. These comparisons identify differences between groups within each level of factor “moment”. Estimated means for each group, before and after treatment. Multiple comparisons between means of each group, before and after treatment. CBTPD: cognitive-behavioral therapy for post-disaster stress; PTSD: posttraumatic stress disorder; SD: standard deviation. In addition, the Levene test indicates that the variance of four groups at time “before” is homogeneous (F=1.035, p>0.05), which does not occur with the variance of groups at the time “after” (F=4.359, p<0.05). Also, Box statistic (M=12,422, p>0.05) indicates that the variance-covariance matrices between the two measurement times are the same in all three populations defined by the factor “group”. The results regarding the effect of CBT-PD show a significant reduction of PTSD in the group with severe symptoms and who received the original. The “with ptsd & complete cbtpd” group fell 6 points, achieving a score close to 1 at the end of therapy, almost two points below the limit considered by the “rule of 3/7”. This significant decrease is clarified when compared with the behavior of the other two groups. Both groups, the one that did not have severe symptoms of PTSD (with full treatment) and the one that did have symptoms (with abbreviated treatment), did not experience significant changes in the number of symptoms after treatment. Therefore, it is possible to say that participants with more than three severe symptoms of PTSD that received the full course of CBT-PD benefited from it, decreasing their symptoms below the dangerous levels. However, other cause that explains this decline is the passage of time.35–37 In fact, 52% of the variance of PTSD symptoms was explained only by time. Of course, without the treatment, the explained variance would not have been 71% for the interaction between the passage of time and the treatment, which only decreased the symptoms of the quasi-experimental group. Given these results, there is evidence of the effectiveness of CBT-PD. On the other hand, as a therapeutic group process, clients could affect other members of the group. In that sense, the social support that the therapeutic group provides serves as a modulator of the stressful event.43–45 In other words, social support reduces stress for each client and allows them to better learn breathing techniques and cognitive restructuring. Moreover, in the CBT-PD, clients are active agents in their recovery and therapists are coaches and facilitators of the recovery process. In fact, for sessions of CBT-PD patients and therapists require two different manuals specifically designed for each.46–48 The patient's manual contains, session by session, the explanation of the therapeutic processes and activities that will be carried out both at home and in therapy sessions. On the other hand, the therapist's manual explains in detail each session both conceptually and procedurally, giving recommendations about what and how to do each session based on theory and others’ experiences. Although findings are consistent with CBT-PD theory, since participants were not randomly assigned to groups, we do not rule out the existence of alternative explanations for the efficacy of treatment. For example, the motivation of the participants to complete the therapeutic procedure and tasks could increase the effectiveness of a procedure in which patients voluntarily attend. In addition, aforementioned social support was not a controlled factor at all in the therapeutic procedure. This support is evident, at least in the form of the therapy group and the fact that groups were not only attended by people with a diagnosis of PTSD. However, the results obtained in relation to the abbreviated CBT-PD model applied to the quasi-control group are an argument for the effectiveness of the full procedure. Probably the longer duration of sessions and the little time to do homework made participants more fatigued and they learned less. Regardless of the CBT-PD effectiveness, an important feature of this study is that this is the first time that the procedure created by Hamblen47 is tested in a sample outside the USA, where it was originally developed. It is also the first time that it has been tested in cases of PTSD after an earthquake and tsunami. This reinforces the evidence accumulated and reflected in the meta-analysis on the effectiveness of cognitive-behavioral therapies in treating PTSD. Second, it also reinforces the idea that symptoms can be decreased in a similar therapeutic procedure beyond the traumatic event. In fact, in this particular case, the therapist and client manuals were only adapted to include examples and information about earthquakes and tsunamis, mainly in the psycho-education session. About the limitations of this study, these are related to the samples of people tested and the number of measurements. In respect to the samples, although the differences suggest that these samples were enough, it is true that the groups “no ptsd & complete cbtpd” and “with ptsd & complete cbtpd” were (respectively) four times and twice the size of the group “with ptsd & abbreviated cbtpd” (the quasi-control group). Unfortunately, the availability of participants who wanted to finish the therapeutic process played against the balance of the groups. However, since it satisfies the assumption of homogeneity of variances and the sphericity is not applicable in this case (only two steps are repeated), the failure to have balanced groups should not be a problem for testing the robustness.33 On the other hand, it would be interesting to compare other people from different populations, for example, people belonging to an at-risk group or people affected by the F-27.18,49 In relation to the number of measurements, it is important to make new ones and more after treatment. This to determine if the effects of therapy are maintained or not after months and even years. However, the evidence found in other quasi-experiments show that the decreasing tendency of PTSD symptoms is maintained after 4 months,27 therefore we did not find convincing arguments that the opposite will happen here. Finally, it is important to keep in mind for future therapeutic applications of this type, the importance of measuring the effects of treatments in populations affected by mental health problems in general and effects of traumatic events in particular. It is important to remember that not all therapeutic procedures are appropriate in all cases and may even be harmful,23 to illustrate, after the F-27 earthquake and tsunami, the psychosocial interventions were not coordinated and did not measure their effects.8,50 For these reasons, it is a public health matter to have action plans that integrate effective mental health treatment procedures. In this regard, if the primary care network has effective therapeutic procedures it could treat the psychological consequences of disasters such as the F-27.18 In fact, because CBT-PD is a group therapy, it allows one psychologist to assist several people per hour, which does not occur with individual psychotherapeutic models. Given the results presented here, the potential of CBT-PD cannot be ignored by our primary care network and health authorities. 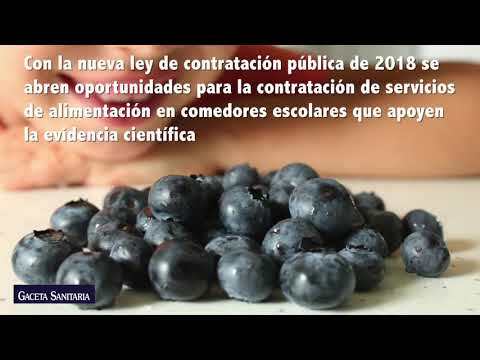 M. Leiva-Bianchi contributed with conception and design, analysis and interpretation of data, drafting the article, and final approval of the version to be published. F. Cornejo contributed with analysis and interpretation of data, drafting the article and revising it critically for important intellectual content. A. Fresno contributed drafting the article and revising it critically for important intellectual content. Finally, C. Rojas and C. Serrano contributed with acquisition of data and drafting the article. Our acknowledgements to “U. Talca Psychosocial Impact Teamwork” and “U. Talca Cognitive-Behavioral Therapy Team” for their participation in data collection and psychotherapy performance respectively. This research was supported by the Quality of Life and Healthy Environments Research Program of University of Talca (grant: VAC 600426); Young Researchers Program of University of Talca (grant: VAC 600535); Regular FONDECYT project (grant: 1160301). USGS - United States Geological Survey. Tsunami and earthquake research 2010. (Accessed 20/11/2010). Available at: http://walrus.wr.usgs.gov/tsunami/. Tres enormes olas devastan Constitución tras sismo. PAHO - Pan American Health Organization. El terremoto y el tsunami del 27 de febrero en Chile: crónicas y lecciones aprendidas en el sector salud. Santiago de Chile: PAHO; 2010. 111 p.
El terremoto y tsunami del 27-F y sus efectos en la salud mental. M.D. Méndez, M.C. Leiva, C.B. Bustos, et al. Mapa exploratorio de intervenciones psicosociales frente al terremoto del 27 de febrero de 2010 en la zona centro-sur de Chile. C. Zhao, Z. Wu, J. Xu. The association between post-traumatic stress disorder symptoms and the quality of life among Wenchuan earthquake survivors: the role of social support as a moderator. X. Zhou, L. Kang, X. Sun, et al. Prevalence and risk factors of post-traumatic stress disorder among adult survivors six months after the Wenchuan earthquake. M.W. Miller, E.J. Wolf, T.M. Keane. Posttraumatic stress disorder in DSM-5: new criteria and controversies. S. Bland, L. Valoroso, S. Stranges, et al. Long-term follow-up of psychological distress following earthquake experiences among working Italian males: a cross-sectional analysis. J.B. Cairo, S. Dutta, H. Nawaz. The prevalence of posttraumatic stress disorder among adult earthquake survivors in Peru. T.-J. Lai, C.-M. Chang, K.M. Connor, et al. Full and partial PTSD among earthquake survivors in rural Taiwan. P. Sharan, G. Chaudhary, S. Kavathekar, et al. Preliminary report of psychiatric disorders in survivors of a severe earthquake. A.K. Goenjian, A.M. Steinberg, L.M. Najarian, et al. Prospective study of posttraumatic stress, anxiety, and depressive reactions after earthquake and political violence. Encuesta post terremoto: principales resultados. Efectos en la calidad de vida de la población afectada por el terremoto/tsunami. R.A. Figueroa, M. González, R. Torres. Plan de reconstrucción psicológica post terremoto. C.R. Brewin, B. Andrews, J.D. Valentine. Meta-analysis of risk factors for posttraumatic stress disorder in trauma-exposed adults. S. Priebe, I. Grappasonni, M. Mari, et al. Posttraumatic stress disorder six months after an earthquake: findings from a community sample in a rural region in Italy. J.I. Bisson, A. Ehlers, R. Matthews, et al. Psychological treatments for chronic post-traumatic stress disorder. Systematic review and meta-analysis. R.A. Figueroa, H. Marín, M. González. Psychological support for disaster victims: an evidence-based care model. B.T. Ewing, J.B. Kruse, M.A. Thompson. Empirical examination of the Corpus Christi unemployment rate and hurricane Bret. H. Kornør, D. Winje, Ø. Ekeberg, et al. Early trauma-focused cognitive-behavioural therapy to prevent chronic post-traumatic stress disorder and related symptoms: a systematic review and meta-analysis. J.L. Hamblen, L.E. Gibson, K.T. Mueser, et al. Cognitive behavioral therapy for prolonged postdisaster distress. J. Hamblen, F. Norris, S. Pietruszkiewicz, et al. Cognitive behavioral therapy for postdisaster distress: a community based treatment program for survivors of hurricane Katrina. F. Norris, J. Hamblen, L. Brown, et al. Validation of the Short Posttraumatic Stress Disorder Rating Interview (expanded version Sprint-E) as a measure of postdisaster distress and treatment need. Validation of the Short Posttraumatic Stress Disorder Rating Interview (SPRINT-E) in a sample of people affected by F-27 Chilean earthquake and tsunami. Métodos de investigacion en psicología y educación. H.J. Keselman, J. Algina, R.K. Kowalchuk. The analysis of repeated measures designs: a review. Alternativas de análisis estadístico en los diseños de medidas repetidas. ¿Cómo escoger estrategias robustas para valorar medidas repetidas? Revisión y evaluación de las estrategias disponibles para valorar efectos intrasujetos en el ANOVA de medidas repetidas. Some approximate tests for repeated measurement designs. G.A. Bonanno, C.R. Brewin, K. Kaniasty, et al. Weighing the costs of disaster consequences, risks, and resilience in individuals, families, and communities. Annual research review: positive adjustment to adversity-trajectories of minimal-impact resilience and emergent resilience. The efficacy of psychosocial treatments in primary care: a review of randomized clinical trials. Aproximaciones a la psicoterapia. Una introducción a los tratamientos psicológicos. C.R. Pasarelu, G. Andersson, L. Bergman Nordgren, et al. Internet-delivered transdiagnostic and tailored cognitive behavioral therapy for anxiety and depression: a systematic review and meta-analysis of randomized controlled trials. S. Simblett, J. Birch, F. Matcham, et al. A systematic review and meta-analysis of e-mental health interventions to treat symptoms of posttraumatic stress. A. Ballesio, M. Aquino, B. Feige, et al. The effectiveness of behavioural and cognitive behavioural therapies for insomnia on depressive and fatigue symptoms: a systematic review and network meta-analysis. Stress, social support, and the buffering hypothesis. A. Gasparre, S. Bosco, G. Bellelli. Cognitive and social consequences of participation in social rites: collective coping, social support, and post-traumatic growth in the victims of Guatemala genocide. S.E. Taylor, D.K. Sherman, H.S. Kim, et al. Culture and social support: who seeks it and why?. Cognitive behavioral therapy for postdisaster distress: general version. Client manual. Cognitive behavioral therapy for postdisaster distress: general version. Therapist manual. D. Suar, S.S. Das, P. Alat, et al. Exposure, resource loss, and posttsunami trauma. R.C. Brown, A. Witt, J.M. Fegert, et al. Psychosocial interventions for children and adolescents after man-made and natural disasters: a meta-analysis and systematic review.